Hello friends! I would love for you to follow me on Pinterest and Instagram! I am back again with another great project this week! If you missed my X Arbor with Bench and my Antique Cutting Boards don't forget to check them out! Today I am happy to share my Rustic Industrial Media Console that I built for my kids! For this project I teamed up with Simpson Strong-Tie, because I love the industrial feel their connectors give my projects! You may remember my DIY Chalkboard Easel that I shared last week. 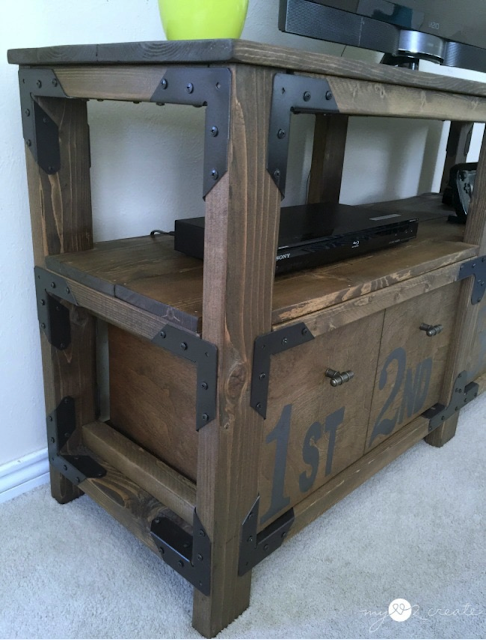 This console is super sturdy and easy to build, plus it has a lot of great storage space. I am so excited to share the free plans with you and show you how I built it! I am over at DIY Done Right with my post so please hop on over and check it out! Disclaimer: I have partnered with Simpson Strong-Tie® for this build. I was provided with materials and/or composition to create and construct this media console. All thoughts, opinions, and excitement are my very own. I share what I love ! Love this Mindi! Perfect rustic industrial combo. whoa Mindi! 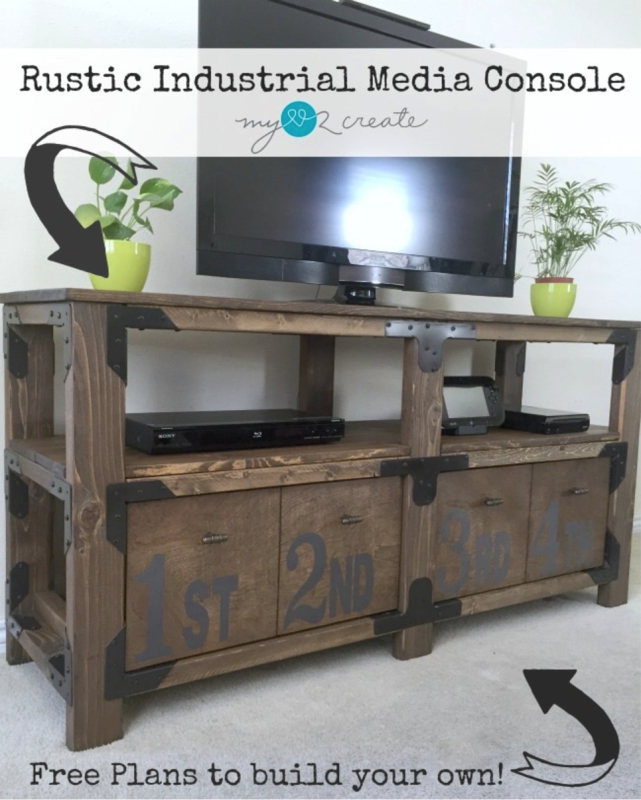 this is an awesome rustic industrial media console. I love everything about it, and it's perfect for the boys! This is amazing! I would love to build something like this, but I haven't ever even used a saw! Your project has been chosen as a favorite at Craft Frenzy Friday on Mom Home Guide! Your loving those Strong Ties and so am I! Great project!! Thanks for linking up at TTTParty! Shared everywhere! This turned out great! Thanks for sharing at the Talented Tuesday Link Party, I'm featuring you this week!